This may be a really old wallpaper of mine, But I still love the meaning I put in it. The idea of this wallpaper came from the movie "Brave Heart"
It was hard to find a picture that will fit to my idea and of course - To my satisfaction. I think saber goes great with the scene. Allot of brush work and imagination work did its job. Haven't seen this yet. Thanks for sharing. wow the bg fits perfectly the scan! i love this paper. 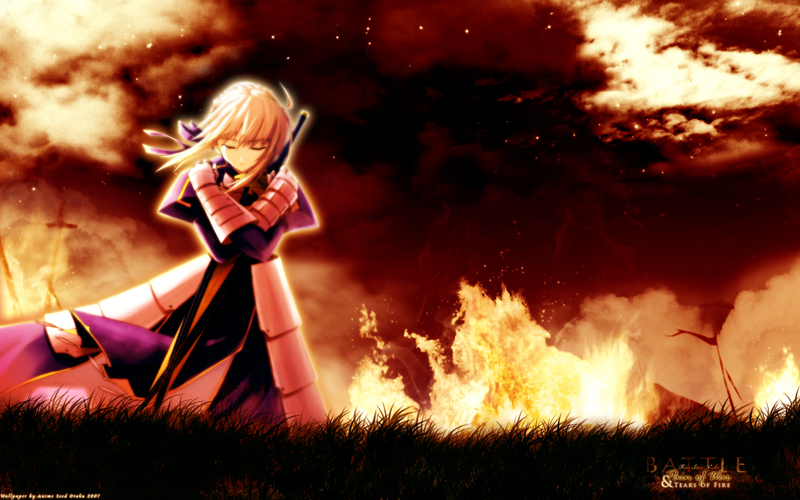 shows a peaceful side of saber in all of the chaos behind her. saber's ecpression in this background really fits . nice wallpaper! keep em' coming! superb. Well done. Keep it up.